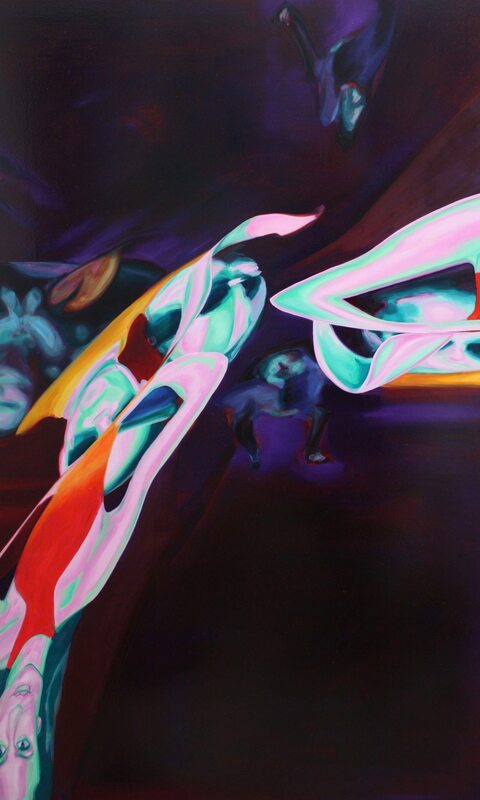 Image Credit: Monique Barnett, Kalopsia (detail), 2015, acrylic and oil paint on aluminium composite. Collection of the artist. Monique Barnett’s paintings are driven by celebrity and mainstream media, and its intent to reflect our dreams, desires, wishes and insecurities. As a basis for her artistic practice, Barnett uses images of celebrities and models from print media, mainly commercial gossip and fashion magazines. She then cuts out images and arranges them in a fictive space, creating a diorama-like stage set. Using a camera to photograph the images causes the figures to become distorted, foreshortened and morphed, creating a surrealist sense of aggregated movement. These photographs are then used as a starting point for paintings. Creating a visual spectacle of images that appear familiar and distant all at once, Barnett forms a tension between abstract and surreal imagery, keeping the essence of the figure intact.